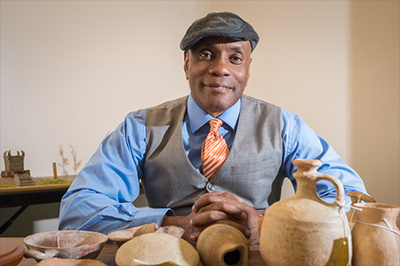 Associate professor of religion Theodore Burgh is a bit of a Renaissance man. In addition to teaching, he writes fiction, performs music and has a good grasp on a number of languages. NEW: Get Ready to "Give More in 24" - The One-Day Giving Challenge is One Week Away! 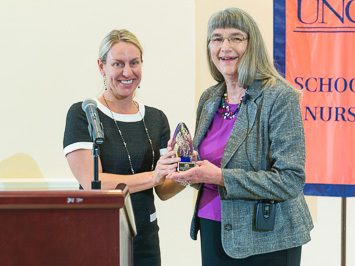 Anne Glass (right), professor of gerontology, received the College of Health and Human Services Distinguished Researcher Award from Justine Reel, professor and associate dean for research and innovation, on April 9 during the college’s annual Health and Human Services Week.